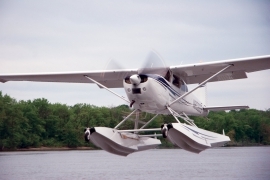 Cessna 185 Skywagon Floats, Mods, & Services | Wipaire, Inc. Whether your dream is to fly to the remote glaciers of Alaska’s Denali National Park or hop between white sand beaches of the islands, Wipaire can outfit your Cessna 185 Skywagon with the versatility and performance you need. 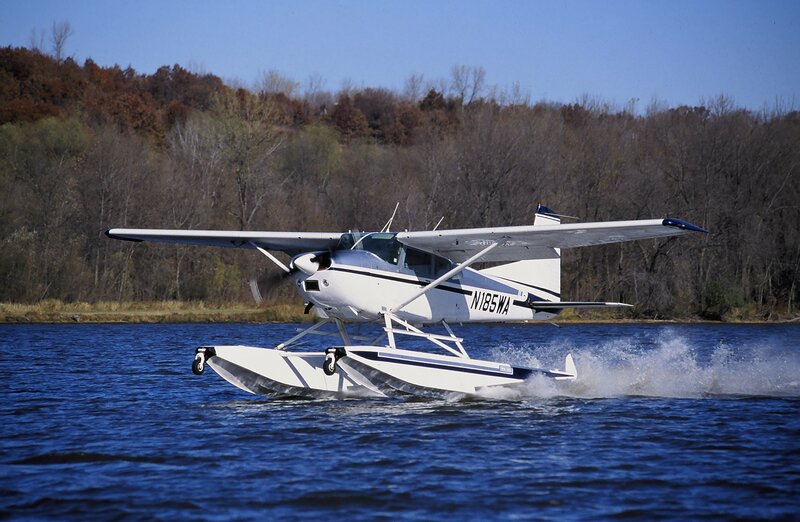 Wipaire manufactures and installs a full line of Wipline floats, skis and other performance enhancing modifications designed and constructed with special attention to every detail. 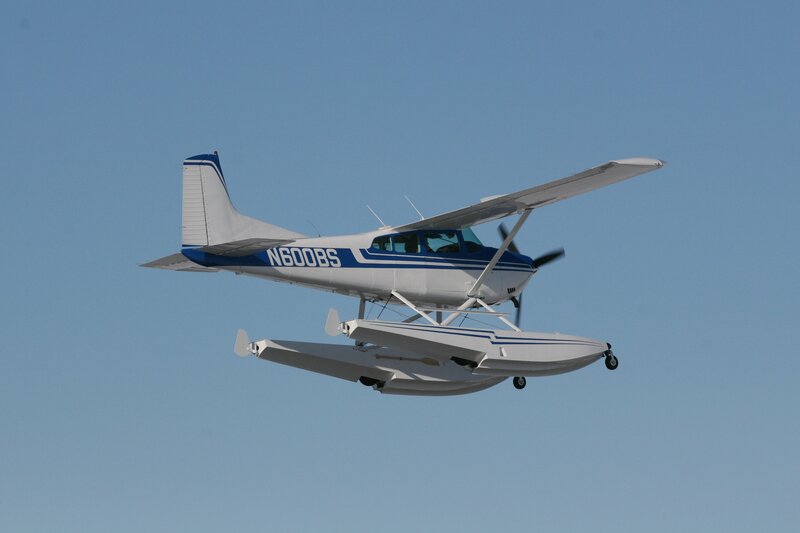 If you’ve been dreaming of flying your Skywagon right to the lake then take a look at Wipline 3000 Floats. 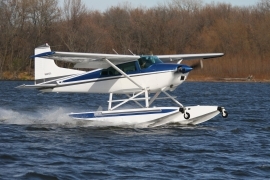 Amphibious or Straight models are available for the Cessna 185. Wipline Floats are known for both performance and durability and with over 55 years in the business you can buy with confidence knowing that we’ll still be here to support our products for years to come. Maybe your Cessna 185 has seen better days. With a full service Refinishing and Interiors department we can get her looking good as new. While she’s here our Maintenance team will get her running at the top of her game and with an Avionics upgrade you’ll be enjoying your air time even more! Wipaire can get your Skywagon running, and looking, better than ever. Take a few minutes to browse this page to learn more. If you already have an idea what you need then please contact us to request more information. 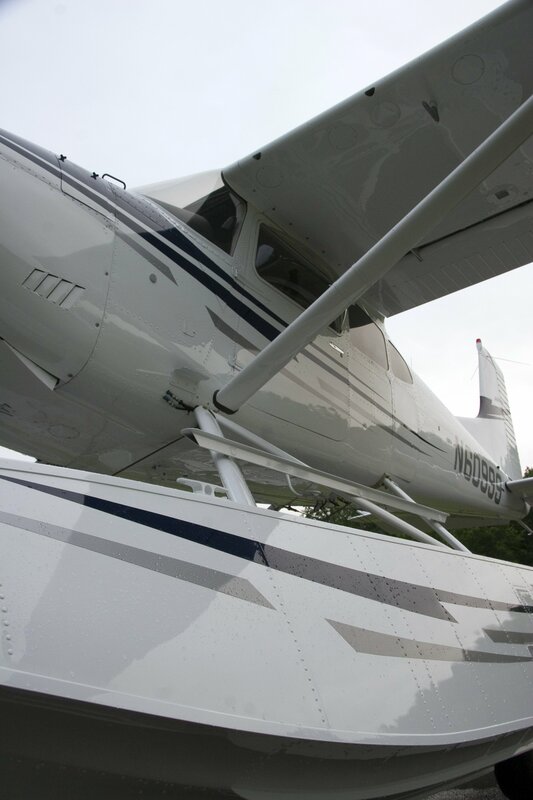 Whether your dream is to fly to the remote glaciers of Alaska’s Denali National Park or hop between white sand beaches of the islands, Wipaire can equip your Cessna 185 with the versatility you need. Wipline 3000 floats are engineered to offer rugged durability and outstanding performance, giving you the freedom to explore. 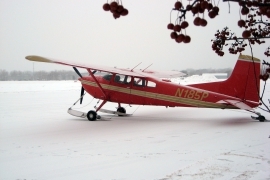 Don’t let old man winter freeze your flight plans. 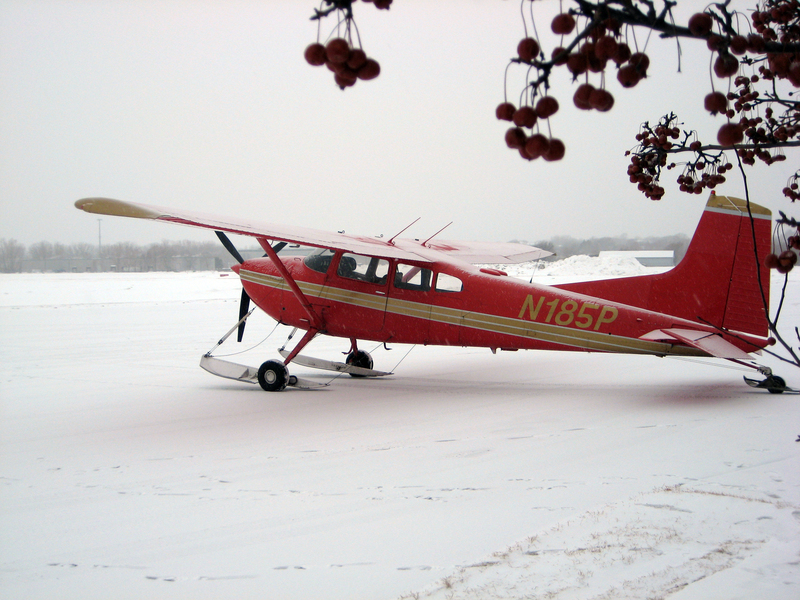 The Cessna 185 can be equipped with skis to keep you going all year. *Weight is for two skis. The Electro-Hydraulic Power Pack adds an additional 17 lbs. 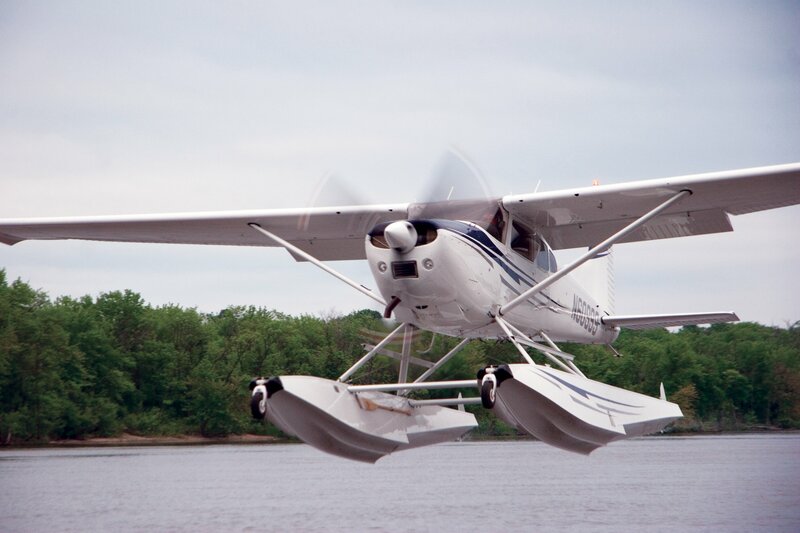 ** If you already have Wipline 2100, 2350, 3000, or 3450 amphibious floats installed on the aircraft you will not have to purchase the hydraulic system. Call your salesman for allowance. 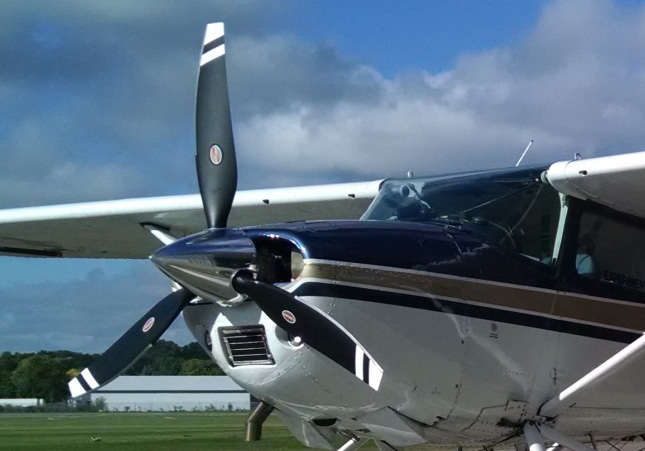 The Cessna 185 is already a great performance machine but when you need a little more we’re here to help. Wipline floats and AirGlide skis are some of our best know modifications but we also have performance modifications. More power? Greater performance? One of the most effective ways of enhancing the capability and performance of your C-185 is to add an IO-550 engine and Hartzell or McCauley “Power Prop”. 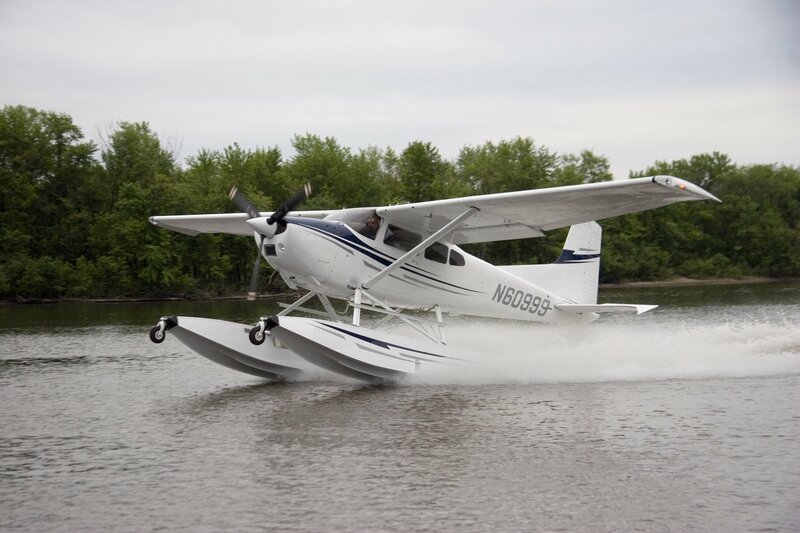 Wipaire pioneered this modification, realizing its potential to really create a hot-rod of a seaplane. 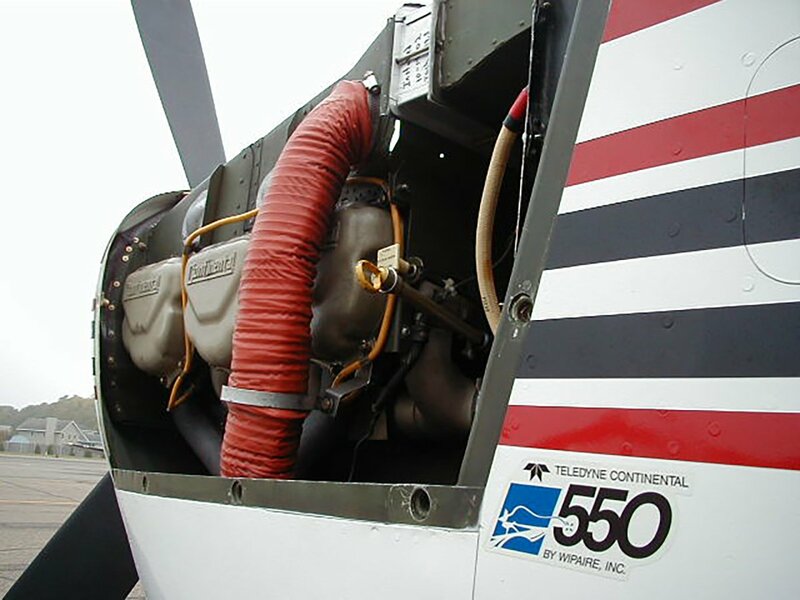 The Wipline IO-550 upgrade is rated at 300 Horsepower, like the standard 520, but is rated at a higher torque, giving you 8-10% better performance, an additional 150 to 175 points of thrust for seaplanes, and quieter ride. 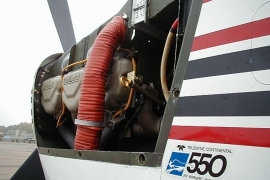 Unlike the 520, the IO-550 enables a maximum continuous cruising rate at 300 HP instead of just 285HP. 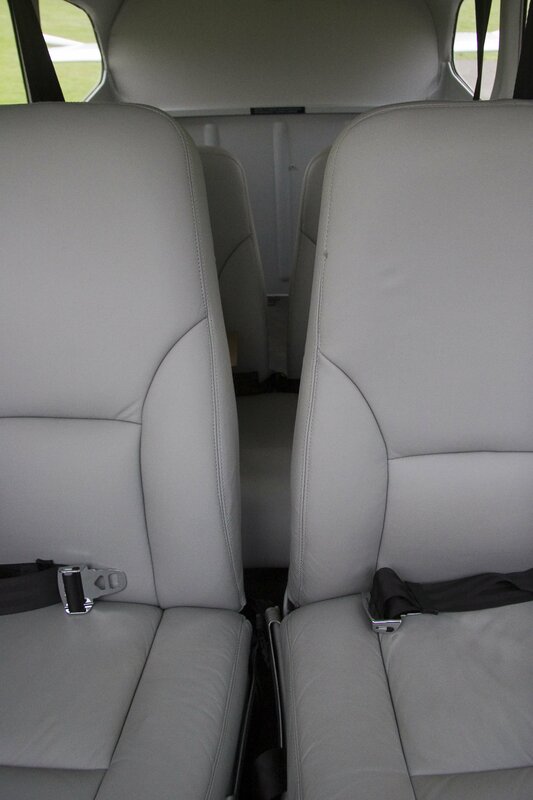 Call us today to learn more about this exciting product that is sure to enhance your investment and your total flying experience. The IO-550D Engine Upgrade can give your 185 that extra get up and go that you’ve been wishing for. NOTE: Three blade engine mount required for 185 part number 0751007-16 at an additional cost. More power? Greater performance? 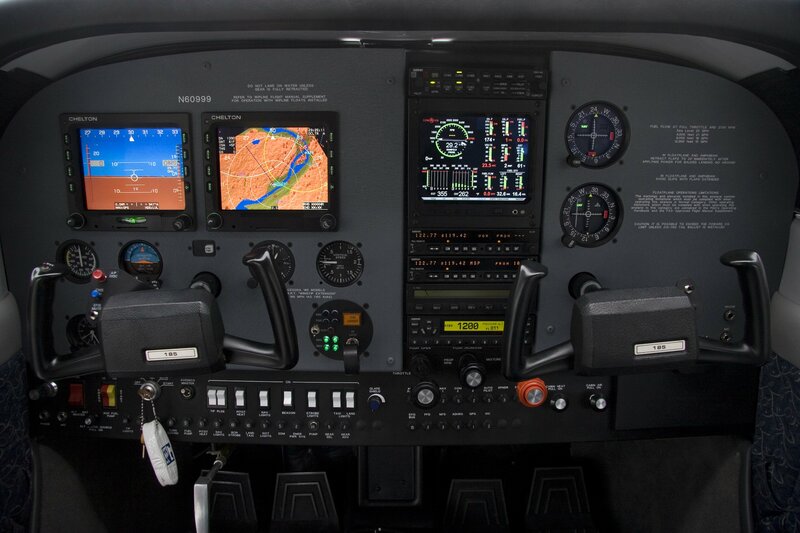 One of the most effective ways of enhancing the capability and performance of your C-185 is to add an IO-550 engine and Hartzell or McCauley "Power Prop". 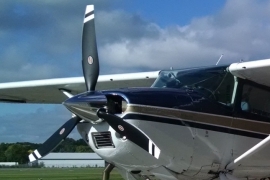 The new carbon fiber composite Hartzell Trailblazer series 82″ propeller is available for Cessna 185 models with the IO-550-D engine installed via Wipaire STC SA1522GL or Texas Skyways STC SA09960SC in both landplane and seaplane configurations. 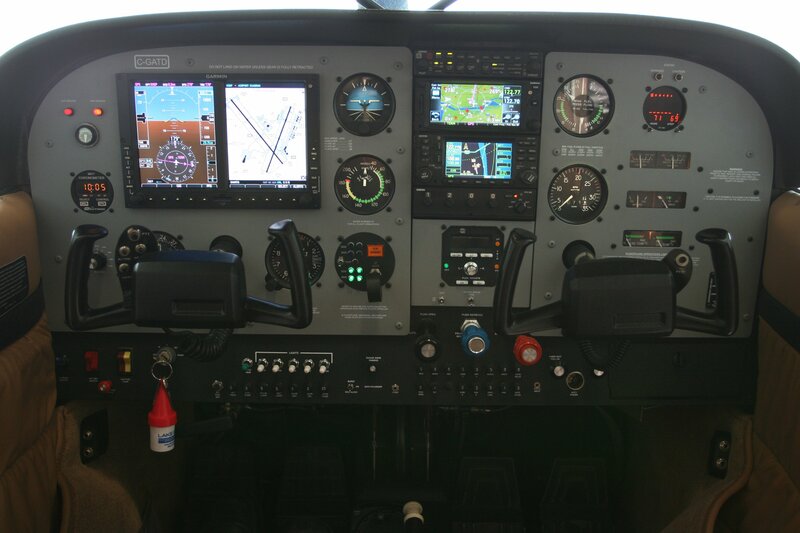 The Trailblazer propeller offers the following features. The new carbon fiber composite Hartzell Trailblazer series 82" propeller is available for Cessna 185 models with the IO-550-D engine installed via Wipaire STC SA1522GL or Texas Skyways STC SA09960SC in both landplane and seaplane configurations. More reliable than magnetos, electronic ignition measurably improves aircraft performance and efficiency by creating a hotter, longer-lasting ignition source that increases power output as well as making hot starts easier and reducing plug fouling. 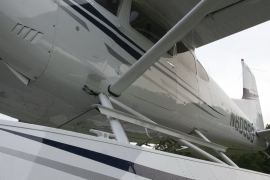 Have your Wing-X STOL Wing Extensions installed with your Wipline 3000 or 3450 Floats! 175 Lb increase in the useful load. Wipaire is an authorized distributor and installation center for Wing X STOL tip extensions for Cessna 180, 182, and 185. 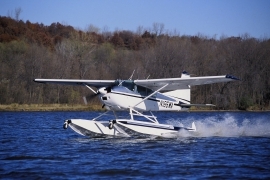 Visit www.wingxstol.com for all performance parameters and information on this great product. 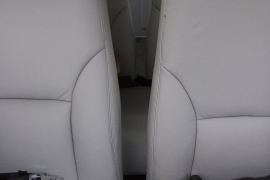 This modification is approved with various previously installed leading edge modifications as well as vortex generators.